Sterling silver dainty bracelet with a variety of sterling silver charms and colorful semi precious stones and beads. 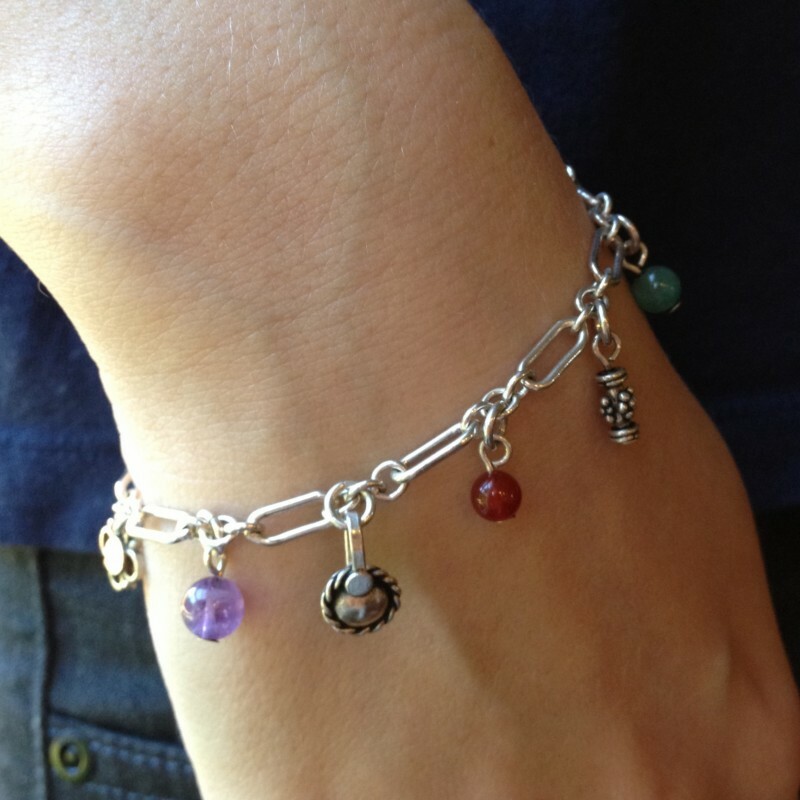 Various sterling silver charms and semi precious stones dangle from a heavy gauge sterling silver chain. 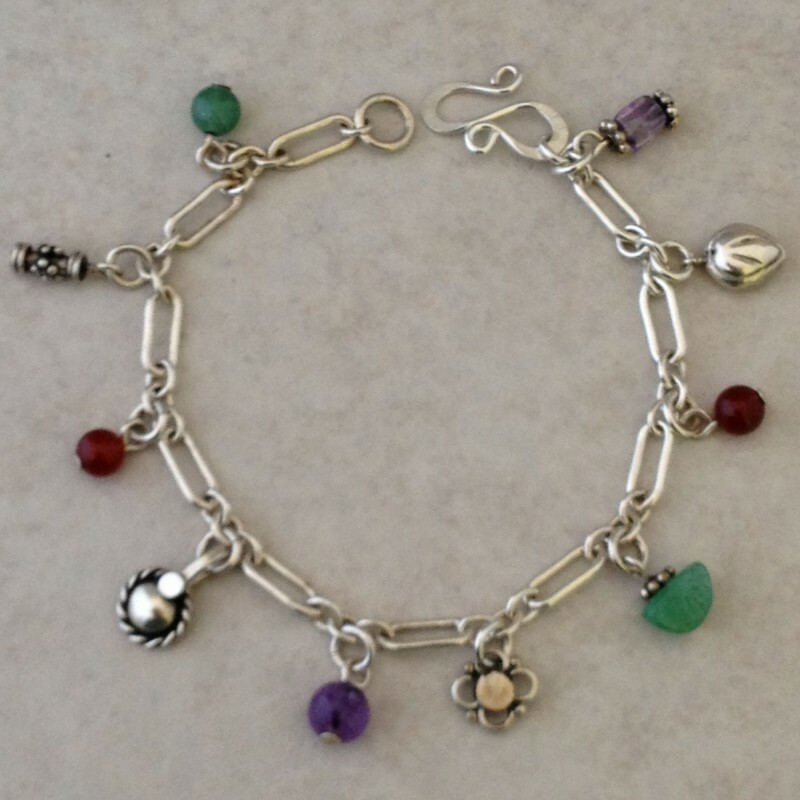 The colorful natural stones and beads (such as carnelian, amethyst and aventurine) and the variety of charms make it versatile and interesting. Charms might vary. 7"-8" long.